The war waged over the sea around Havana is not a result of a conflict between nations. It’s a dispute among local fishermen and divers concerning the fishing zones created and granted to them by mutual agreement in a meeting of fishermen held in 2012. Joaquinito, one of Jaimanitas’s prominent fishermen, confirms this. He says that problems began in 2014, when some fishermen with the right to exploit local waters procured LED flashlights and began to work on two shifts, day and night. Around a hundred people are dedicated to diving and fishing in Jaimanitas. Almost all of them are fathers of families who set out to the sea to make a living. Cuco is one of them. He is a member of one of the founding families of the town: the Picúas. He says that it’s hard to imagine how many things can be found in the sea. Nico is a fisherman and a diver. He says he has found many pieces of jewellery lost by swimmers in his zone. The most valuable was a one-carat brilliant that helped him overcome his financial problems. Another diver I have interviewed was old Chichi, one of the few living members of the “Fishing Wall of Fame” of Jaimanitas. “People used to show respect and solidarity, but that has been forgotten. They have no moral values ​​anymore. Before, fishing and diving was family business. Today it’s different, anyone who comes here from anywhere violates the ethics and fishes wherever he wants. It has already caused a number of arguments. Division of the sea into zones was the only solution we could find. No one can imagine how dangerous the night can be, when the sea is as dark as a wolf’s mouth. A diver can be mistaken for fish and shot at with a spear gun, or end up gutted by a boat’s propeller. 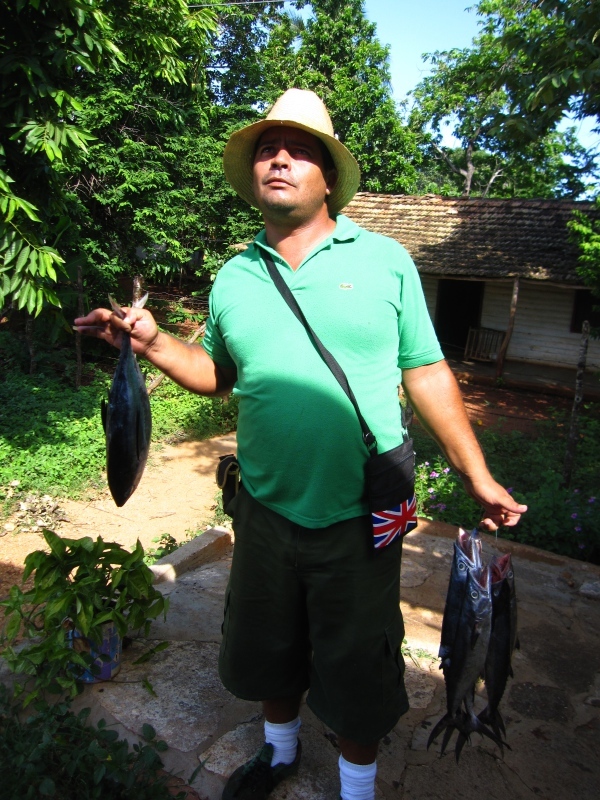 Joaquinito, who is regarded as a spokesman for the fisherman’s guild, says that he has studied the problem in depth. He believes that it has intensified with the crisis in Cuba, but that’s not all.